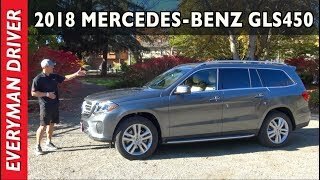 Mercedes recently unveiled the second generation GL-Class and here they are with an updated name and features, re-introducing the SUV Mercedes-Benz GLS 2017. The model is adorned with new looks and upgraded features. 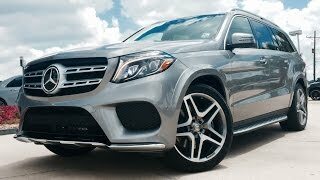 Let us get to know more about the specifications and features of Mercedes Benz GLS 2017 through its review. The interior of Mercedes Benz GLS 2017 gets many upgrades to make your experience worth being with the brand. First thing that you might notice is the three-spoke Nappa leather wrapped steering wheel hiding newly designed instrument panel behind it. The latter comes with a media display while the center console gets some touchpad controls, making the cabin look more luxurious. The massive eight-inch color display gets the latest Command Online. Buyers will also get an option to have ‘Mercedes connect me’ with automatic emergency call, Accident Recovery and breakdown assistance and after sales service. Buyers can also make the interior of their Mercedes Benz GLS 2017 look more exclusive by choosing trim elements of Black Piano Lacquer and wood options. In all there are five upholstery options making your SUV look more personalized. 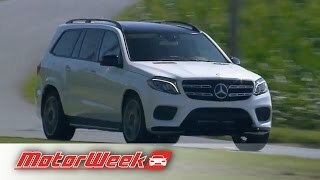 Just like the interior, exterior of Mercedes Benz GLS 2017 also gets several upgrades. Starting with the front fascia you’ll notice upper edges of the grille getting sharper while the new headlamp clusters add to the aggression. Beneath we have new bumper with larger air intakes not only sending some fresh air inside but also adding the sportier looks to the front section of SUV. Moving towards the rear end you’ll come across the 21-inch AMG wheels and a robust design theme making the model look barbaric. 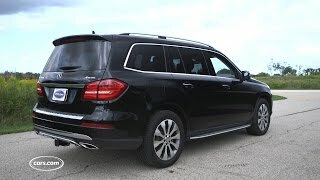 The rear end is basically simple but the exhaust tips and the bottom guard in between add to the sportive touch, making the overall exterior appearance of Mercedes Benz GLS 2017 better than predecessors. 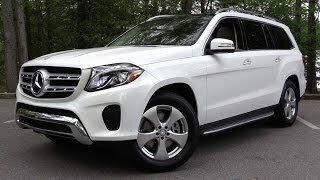 There are in all four engine options beneath the hood of Mercedes Benz GLS 2017, the list includes GLS550 4MATIC, GLS450 4MATIC, AMG GLS63 and GLS350d 4MATIC trim. Powered by a V8 GLS550 generates total output of 449 hp and peak torque of 700 nm while the 450 gets power through a 3.0 liter V6 biturbo engine cranking total output of 362 hp and peak torque of 500 nm. The AMG version tops with 577 hp and 760 nm while the 350d comes with a V6 cranking total output of 255 hp and peak torque of 617 nm. Each of the models come mated to nine-speed 9G-TRONIC automatic transmission as standard. The performance figures of Mercedes Benz GLS 2017 are not yet revealed but we expect to have them soon.